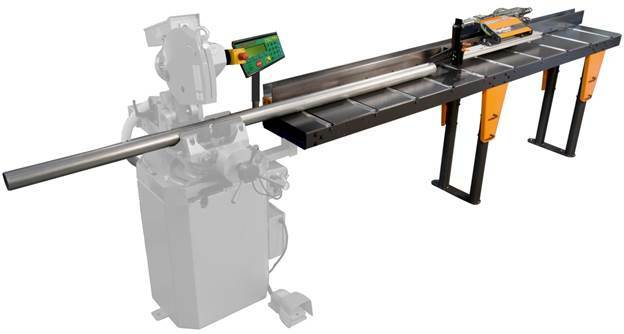 Whether your looking for a simple and accurate stop for the shop and job site, or you need a monster system to handle structural steel with 0.008″ (0.2mm) accuracy which you can control via a networked CAD system, TigerStop has the solution for you. Push, pull or position lighter material. 4 foot to 30 foot (1.2 to 9.1 meter) working lengths. Up to 120 pounds (54 Kilograms). Stop designed for job site use. Affordable, Portable and Rugged. 8 foot, 12 foot and 16 foot (2.4, 3.6 and 9.1 meter) working lengths. Push, pull, or position heavier material. 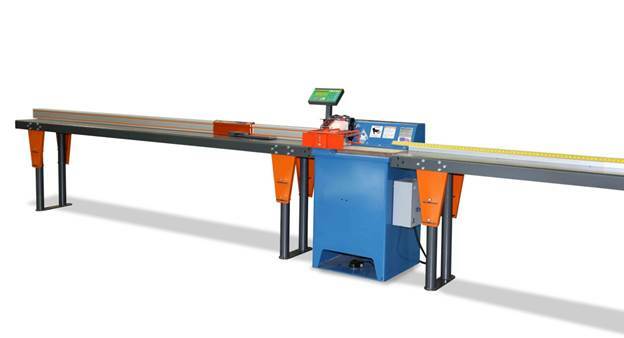 8 foot to 108 foot (2.4 to 32.9 meter) lengths w/rack and pinion drive. Up to 720 pounds (326 Kilograms). Push, pull or position heavier material. 12 foot to 24 foot (3.6 to 12.8 meter) working lengths. Up to 480 pounds (381 kilograms). Push, pull, or position heavier material. 12 foot to 108 foot (3.6 to 33 meter) lengths w/rack and pinion drive. Up to 2100 pounds (952 Kilograms).